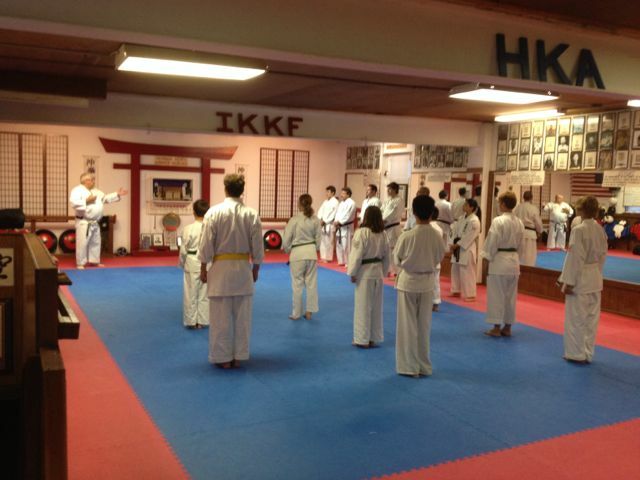 On August 7, 2014, Hanshi Ron Martin visited the HKA Dojo / IKKF Honbu to initiate a series of SPARRING SEMINARS to be conducted the first Thursday of each month. We are honored to be able to provide our students the opportunity for this training. 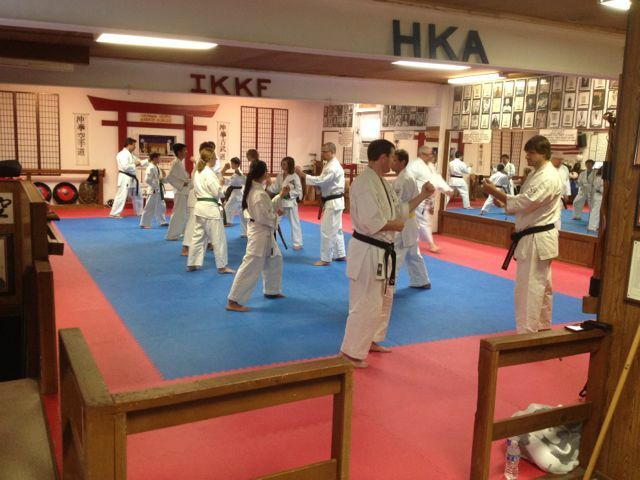 Attendance would be open to any IKKF Member in good standing. 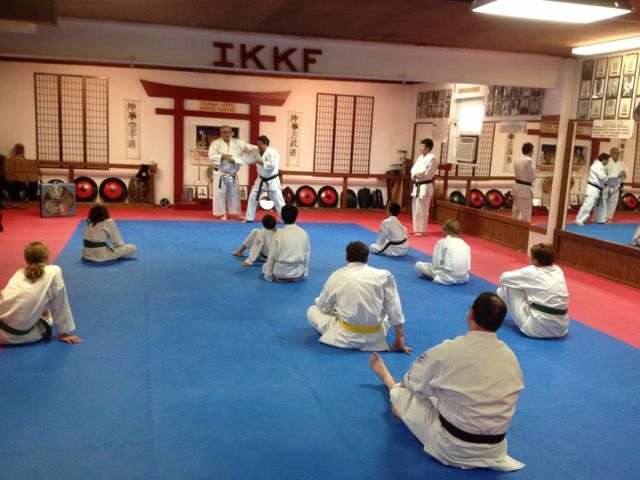 Hanshi Martin instructing students on set-up and distancing for sparring. 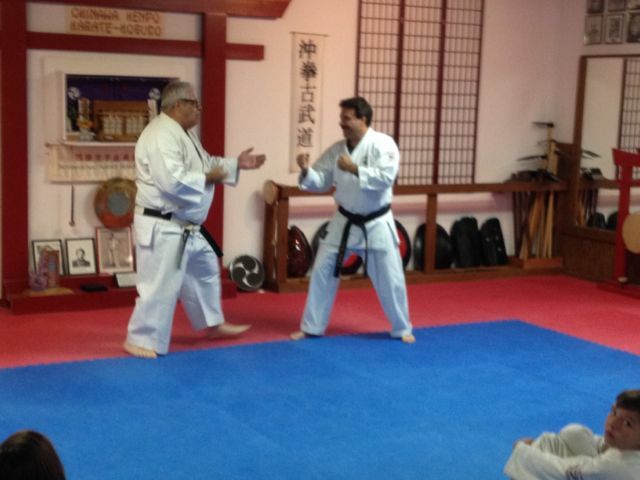 adjustment of body position is discussed by Hanshi Martin. Students participating in various two-person drills. 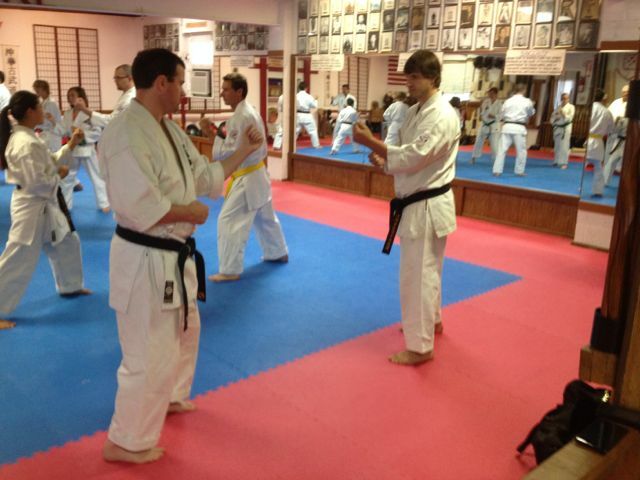 Yudansha Eric Mest and Brandon Strickland working sparring drills. Formal closing at end of class. 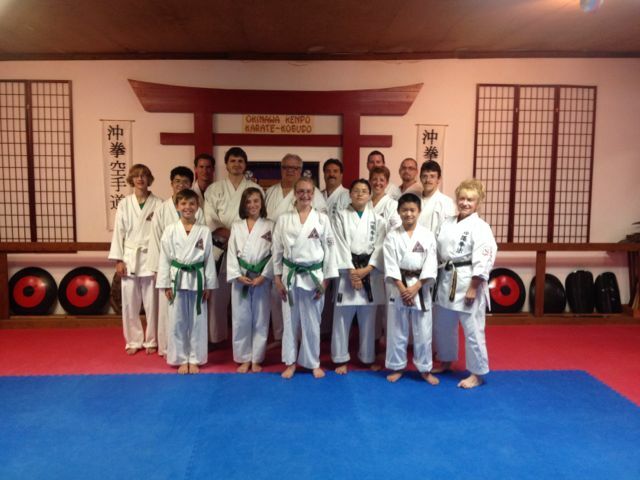 Group photo of participants for August Sparring Seminar.